Altmetrics is the use of alternative, or nontraditional, measurements to better understand the extent of a work's scholarly impact. According to the Altmetrics Manifesto, "Altmetrics expand our view of what impact looks like, but also of what’s making the impact. This matters because expressions of scholarship are becoming more diverse." Altmetrics serve as a complement to traditional metrics (e.g., citation counts) by incorporating statistics regarding usage, capture, and mentions of scholarly works in online environments. Examples of alternative metrics include number of clicks, views, and downloads, as well as social media mentions and news coverage. Librarians can help you navigate the world of scholarly impact! Please don't hesitate to reach out to your subject librarian. Altmetrics: How does it work? Depending on the product (e.g., Altmetric.com, PlumX), altmetrics are gathered using unique identifiers. These tend to be DOIs (Altmetric.com), but are sometimes ISBNs and URLs (PlumX). Altmetric.com provides free tools to researchers with basic capabilities, while costs are associated with enhanced features. PlumX has costs associated with all features. The DOI system was conceived in 1997 as a generic framework for managing identification of content over digital networks. Currently, The DOI system provides a technical and social infrastructure for the registration and use of persistent interoperable identifiers (DOI Handbook). Many publishers are assigning DOIs to journal articles, books, and book chapters, especially larger presses. Search Crossref to see if there is already a DOI associated with your publication. If your publication does not have a DOI, your publisher can assign one through Crossref. NB: the publisher will need to be a member. Another option that individual researchers can use is figshare. This site allows you to assign a DOI to a variety of digital file outputs as long as you make them publicly available. If you'd like to track a dataset using a DOI, consider placing your research data in a repository that assigns DOIs. University of Maine community. It also provides Altmetric.com scores. Metrics available in the Digital Commons include download statistics and an Altmetric.com score (for items with DOIs). See more about Altmetric.com in the box below. Click on the abstract or title to see the altmetric score on the bottom right of the page. on the bottom right of the page. Search engine that draws in literature on many topics from a variety (but not all) of the Fogler Library collections. The altmetric score is visible in the results list. databases with research article content incorporate PlumX metrics. 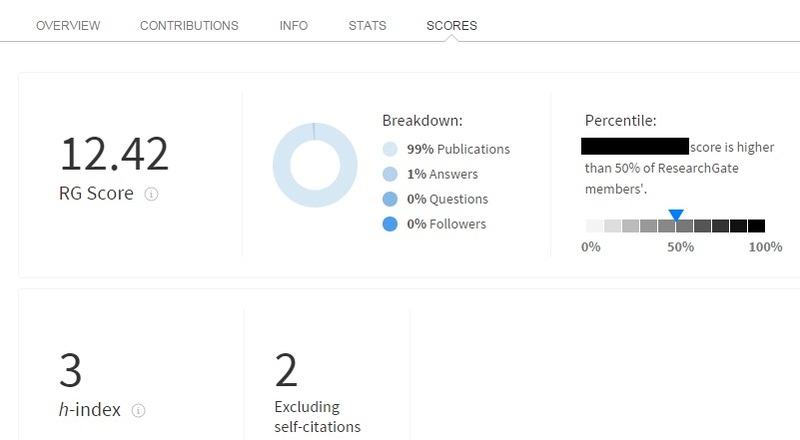 Altmetric.com tracks a range of online sources that capture the social life of a researcher's scholarly activity. Altmetric.com is a commercial product that offers a free bookmarklet and is embedded in a variety of library databases. This free browser plug in lets you instantly see the Altmetric data for any publication with a DOI. Click on the donut to view the full details page for each output. Altmetric badges enable you to showcase the online attention surrounding your research, and it’s free to embed them in your individual profile or publications page. You will find the embeddable badge code here. The Altmetric API is free to use for research purposes. You can use it to query Altmetric's entire database, which currently contains attention data for over 4 million research outputs. "Article-Level Metrics (ALMs) are rapidly emerging as important tools to quantify how individual articles are being discussed, shared, and used. ALMs can be employed in conjunction with existing metrics, which have traditionally focused on the long-term impact of a collection of articles (i.e., a journal) based on the number of citations generated." Covers a range of subjects including statistical analysis of altmetrics data sources; metric validation, and identification of biases in measurements; validation of models of scientific discovery/recommendation based on altmetrics; qualitative research describing the scholarly use of online tools and environments; empirically-supported theory guiding altmetrics' uses; and other research relating to scholarly impact in online tools and environments. Note: Similar to other metrics, altmetrics does not reveal the quality of a work; that is up to the individual scholar to assess. Quantitative measures are only part of a scholar's impact story. ResearchGate is a social networking platform where scholars can share research outputs, ask and answer questions, and identify potential collaborators. The contributions made to ResearchGate (e.g., uploaded publications and/or data, questions you ask and answer), the interactions people have with your work on the site, and the reputation of the people interacting with your work make up your RG score. Additional information on the RG Score can be found here, and on their h-index here. 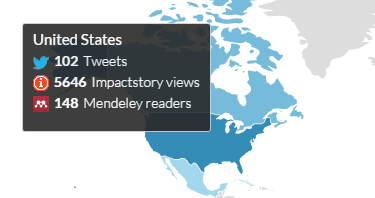 Impactstory is an open-source, web-based tool you can download from Github that helps scientists explore and share the diverse impacts of all their research products—from traditional ones like journal articles, to emerging products like blog posts, datasets, and software. Alternatively, you can sign up for an account and use the Impactstory platform to create an altmetric researcher profile. The Metrics Toolkit launched in January 2018, from "a group of information professionals who are passionate about using the best possible evidence for research evaluation." The Metrics Toolkit is "a resource built to help researchers and evaluators navigate the ever-changing research metrics landscape.The Metrics Toolkit includes 27 expert-written, time-saving summaries for the most popular research metrics including the Journal Impact Factor and Altmetric Attention Score." Also included is an app that can recommend discipline-specific metrics based on your specific use cases.